Learning about personal leadership principles has never been so much fun! 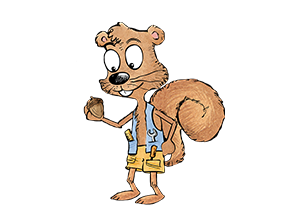 Teach the life-ready principles of initiative, planning, teamwork, and more to elementary-age children. In this book, bestselling author Sean Covey introduces the characters of 7 Oaks. There’s never a dull moment In 7 Oaks! 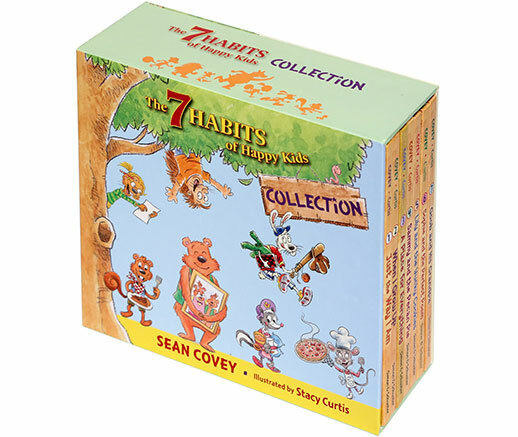 Whether playing soccer with Jumper Rabbit or planting a garden with Lily Skunk, all the friends are always having fun and learning something new, and these seven beautifully illustrated stories show how keeping the 7 Habits in mind makes this way of life possible. 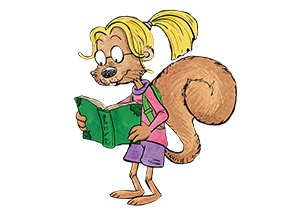 Each story includes a Parents’ Corner to help children learn and apply the habits demonstrated by the kids of 7 Oaks at home. The Parents’ Corner includes additional examples from Sean, key points to highlight throughout each story, discussion questions, and suggestions for practicing the habits once the story comes to a close. 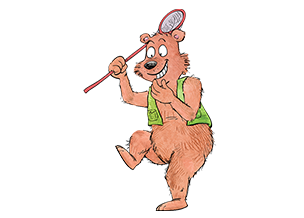 Goob the bear is the biggest kid in 7 Oaks, but also very friendly. He loves bugs. 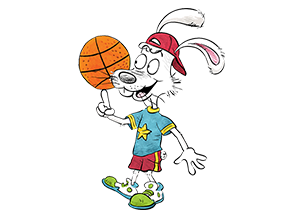 Jumper loves to play all types of sports, and he loves sneakers. 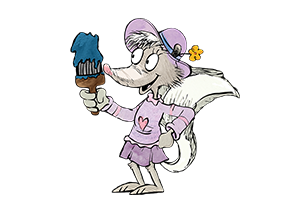 Lily loves art and spends most of her time drawing, painting, and making all kinds of things. Sammy likes playing with gadgets and fixing things. He and his sister Sophie live in a tree house. Sophie is Sammy’s twin sister. She loves reading and math. Sometimes she uses big words that she has to explain to all her friends. Pokey’s quills show what kind of mood he’s in. 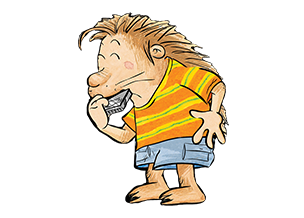 He is really laid-back and loves to play his harmonica. 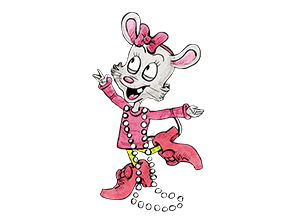 Tagalong Allie is a mouse. She likes to tag along with everyone. Allie loves to dress up. Ernie is very shy but by looking hard enough he might be found on each page. This collection expands the popular Happy Kids book by adding seven new stories to the series. When I saw my two boys settle a disagreement using the habit ‘win-win’ I realized how powerful these habits can be, and that this book is teaching them concepts they will take with them throughout their lives. 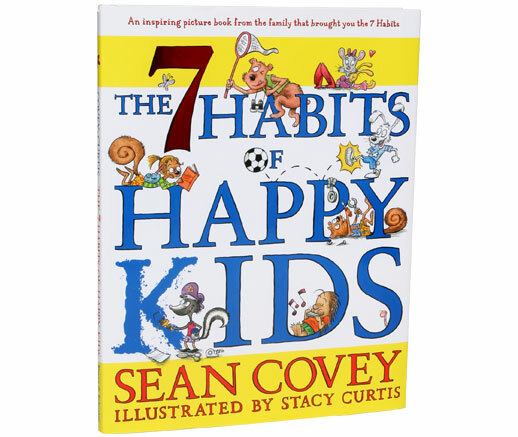 The 7 Habits powerfully resonates with students in an accessible, kid-friendly format. Adults in organizations around the world know and love the 7 Habits. 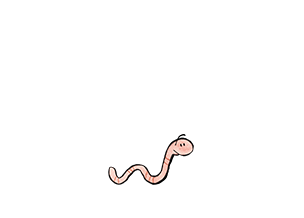 The same proven concepts can be taught to students using language and examples appropriate to their developmental stage. 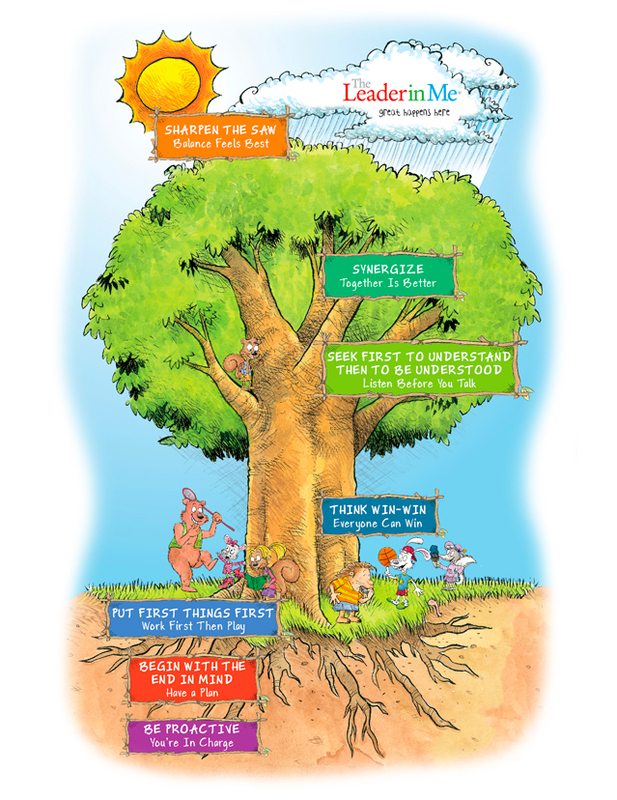 Using the metaphor of a healthy tree, Habits 1-3 focus on developing a strong “personal root system,” building character and becoming more independent. Habits 4-6 teach skills of working well with others, and becoming more interdependent. Habit 7 is about taking care of oneself in order to ensure great leadership can continue into the future. I am a responsible person. I take initiative. I choose my actions, attitudes, and moods. I do not blame others for my actions. I make good, responsible choices without being asked, even when no one is looking.